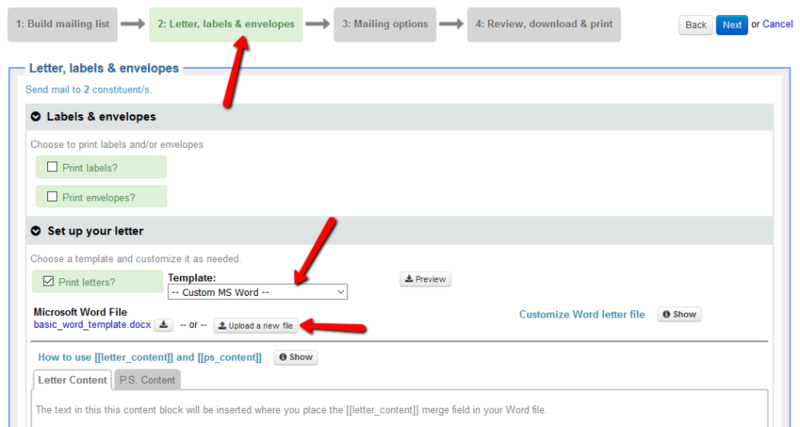 To create the template, click the Add MS Word letter template or the Add LGL template button, depending on which kind of template you want to use. 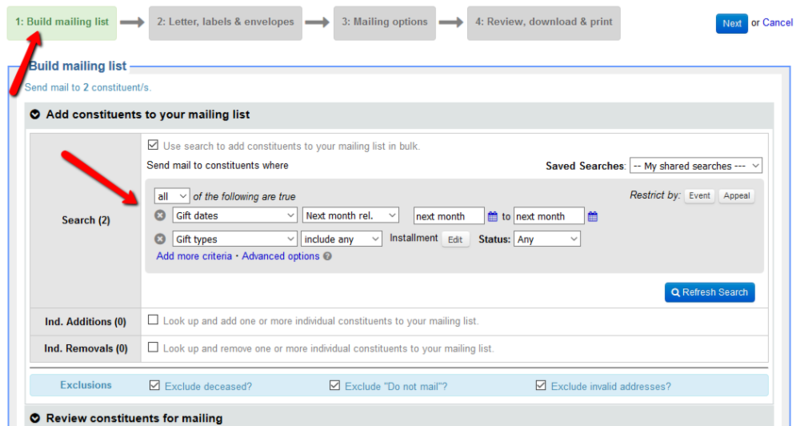 Envelope and label selections can be made in the Additional options part of the page, as shown below. 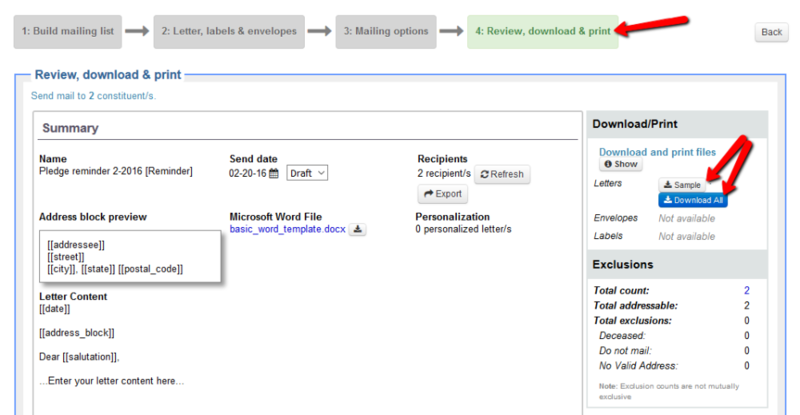 Please see articles on how to create envelope or label templates for more information. 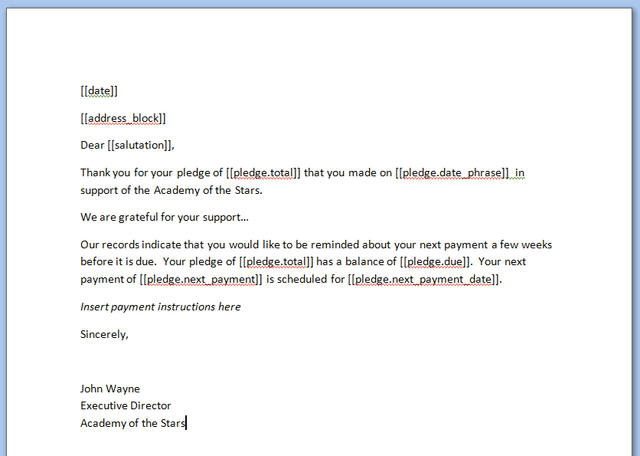 Now that the template is in place, you can start building the mailing itself. 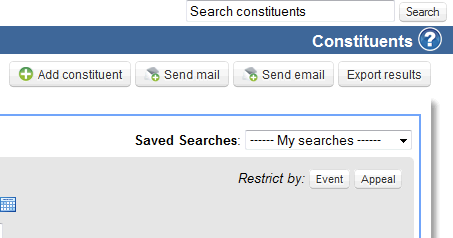 Navigate to the Constituents > All Constituents page to start the process. Find out more about advanced search in LGL. From here you can download a sample set of letters/labels/envelopes, and the full set of letters/labels/envelopes, and print them out from your own computer. Note: Once you have downloaded and printed the files, it's a good idea to mark the mailing "Sent" because, as long as you have sent the letter, this is now the status of the mailing. This will create a new copy of the mailing. 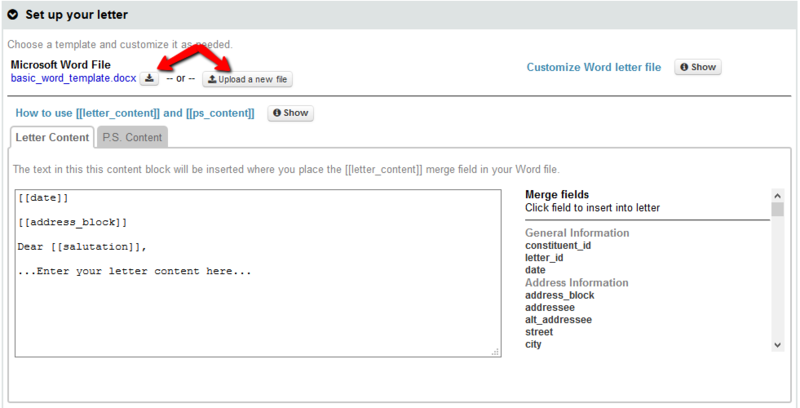 If you have used relative dates in your query ("Next month rel. ", for example), you shouldn't need to change anything. 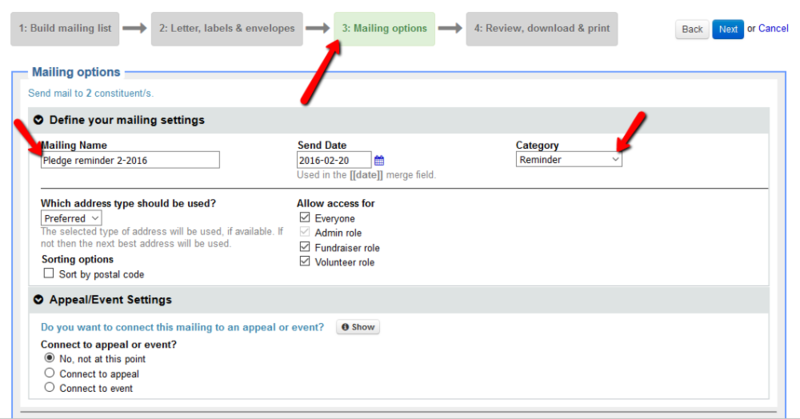 You can jump over to the 4: Review, download & print step and save the new mailing.